Soon after the Multi 21 controversy broke out post the Malaysian Grand Prix, the Formula 1 paddock was rife with rumours about Mark Webber readying himself to bid the Red Bull Team adieu. In fact, there was talk even back then that Webber would not only be moving on from Red Bull, but indeed he'd be moving on from Formula 1 itself. Given that Porsche, the manufacturer with the greatest success at the 24 Hours of Le Mans (with 16 wins to its name), was making its comeback to sports car racing, it was suggested that Webber would team up with them. Well, it turns out that all that speculation was spot-on after all. Come the end of the 2013 season of Formula 1 and Mark Webber will say goodbye to the Formula 1 paddock forevermore and head to Porsche, with whom he has signed a multi-year contract. To believe that it was just the Multi 21 controversy that prompted Webber's move, however, would be erroneous. Webber and team-mate Sebastian Vettel haven't had the easiest of working relationships, with the outspoken Aussie often vocalising his feelings about Red Bull's preferential treatment to Vettel. Indeed, their rivalry started long before they were team-mates. Perhaps it all started when Vettel, then piloting a Toro Rosso, ran into the back of Webber's Red Bull at the 2008 Japanese Grand Prix. Webber, who was until that point running second behind race leader Lewis Hamilton, was taken out of contention. To say that he was unhappy was an understatement, exclaiming "Well it's kids, isn't it. Kids with not enough experience, doing a good job then they **** it all up". Before Webber knew it, though, that kid was his team-mate, and the entire team had been organised around that very kid. Perhaps the breaking point was at the 2010 British Grand Prix, when the team at Red Bull had come up with a new front wing  an aero improvement they felt ought to be given to their Number 1 driver. Webber, wing or not, took pole at Silverstone and even won the race there. 'Not bad for a Number 2 driver' was what Webber said to the team over the radio after his win. But there it was, win or not, Webber was quite firmly established as the team's number two and that didn't sit well with Aussie Grit. Sure, things got even worse at the Malaysian Grand Prix when Vettel refused to maintain position in Multi 21  a team order that means that the Number 2 car was meant to stay ahead of the Number 1 car. Webber was angry. In the aftermath of the event, came the first signs that the 33-year old Australian was ready to move on. Given that Webber, no matter how many races he might win, will always be the team's Number 2 driver, it makes sense for him to move on. Does Webber's move to Porsche make sense though? We certainly think so  here's why. First, there's the question of why Porsche is making a comeback to Le Mans, given that sister company Audi is already winning laurel after laurel at the big race. 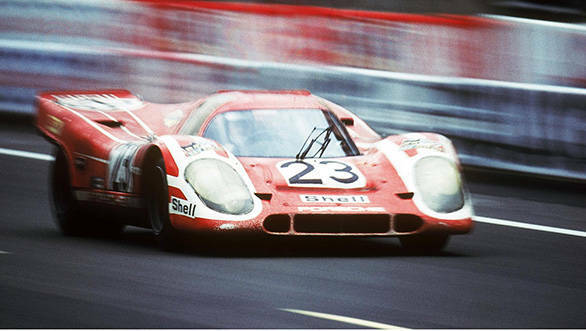 Well, if you think about it, Porsche's Le Mans return is very likely because of that move. With Audi fast closing in on Porsche's record number of victories, the men in the factory over at Stuttgart seemed to be getting a little worried. Would Audi break their Le Mans record? And what was the best way to prevent them from doing so? The answers to those questions, of course, were a) very likely and b) build an LMP1 car and beat them before they could. And in mid 2011, when Porsche decided to come back to Le Mans in 2014, they went about it very systematically. Step 1 - build a car that's good enough to take the fight to Audi. Step 2 - ensure your best driver, aka Romain Dumas, has a season of racing in a factory backed Porsche GTE Pro car in the World Endurance Championship, so that he gets to know the team ahead of the high pressure year. Step 3 - hire a former Formula 1 driver and sports car ace to make sure that your team has every chance of making it to the podium. Winning even! So when Porsche goes about putting up hoardings at Le Mans that say 'Mission 2014: Our return', you know they're dead serious. 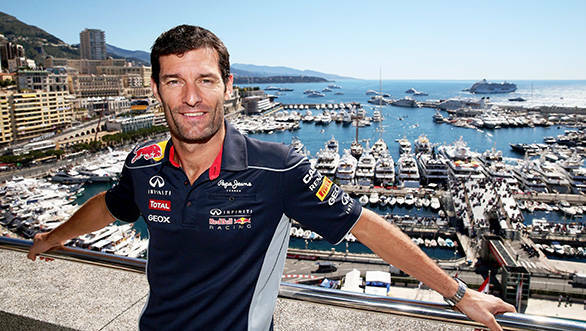 In a sense 2014 could also be Mark Webber's return. Either way, Mission 2014 is one to watch out for.